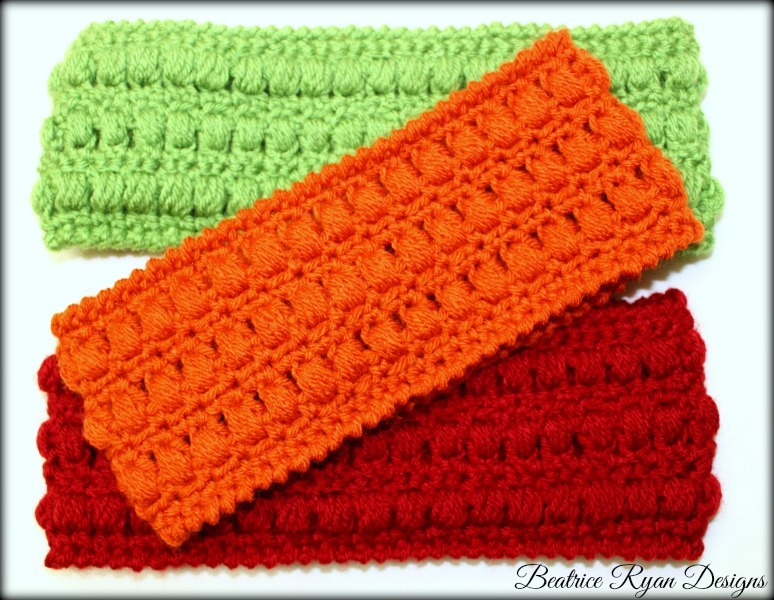 If you love easy Free Crochet Patterns that can be made as a One Skein Project,,, The Whimsical Warmth Headband is for you!!! This is the 3rd pattern in the Whimsical Warmth Series… The Children’s Whimsical Warmth Beanie and the Ladies Whimsical Warmth Beanie are the first two and I have a second version of the headband coming soon!! So stay tuned!! Worsted Weight Yarn ~ 150 yards or less total. In this pattern I used Vanna’s Choice Yarn by Lion Brand Yarn in Cranberry, Terra Cotta and Kelly Green! Ch 66, Join to beginning chain to form a ring. Be careful not to twist the chain. Rnd 1: Ch 1, sc in same st and in each st around. Join with sl st to beginning sc . = 66 sc. Rnd 5 – 10: Repeat Rnds 2-4 two more times. Do not finish off. Ch 1, rev sc around. Finish off. Join to opposite side (beginning chain). Ch 1, rev sc around. Finish off. Congratulations… you now have a Whimsical Warmth Headband!!! If you would like to make this headband smaller or larger, it is in stitch increments of 2. So you can add or subtract 2 beginning chains to adjust the size!! 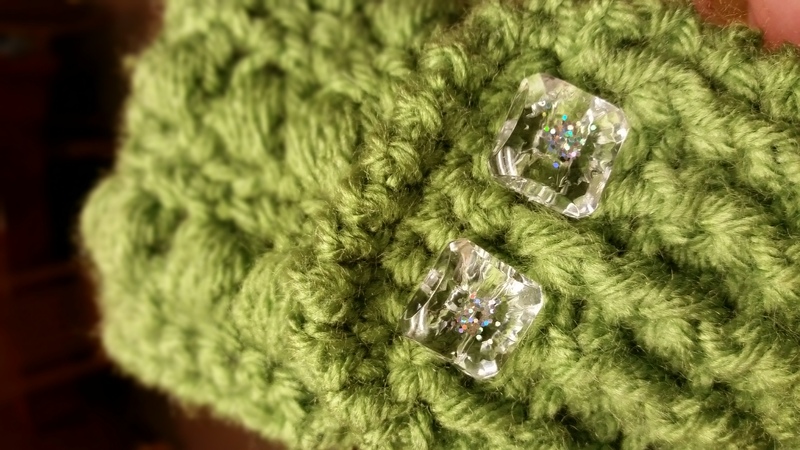 Stay tuned for Whimsical Warmth Beanie Version II… Here is a sneak peek! Thanks for this sweet pattern. Merry Christmas to you and yours. Thank you and may God Bless you this season! I made this tonight! It took several tries to get the right fit for my head, but I got there. I did notice that you define a decrease stitch, but it’s not mentioned in the pattern. When I added the 3rd puff row I could tell by trying on that it was getting a bit loose for the back of my head so I decreased a little bit to my comfort level. So I’m not sure if you maybe meant to put it in there with that note? Just a thought for anyone else who makes this! It’s cute and with my proper size for my big head, it’s not too tight on my ears, but also doesn’t seem like it will slip off too much. Now I wish I had a scarf to go with! These are so cute!! Can you start them with a single crochet foundation chain?